Jennifer S. Kriegler, MD, is a full-time staff member in the Neurological Center for Pain, Neurological Institute at Cleveland Clinic. She is the Director of the Headache Medicine Fellowship at the Cleveland Clinic, is the Clerkship Director at Cleveland Clinic for the required Neuroscience 3rdyear medical student clerkship (Case Western Reserve University (CWRU) and Cleveland Clinic Lerner College of Medicine (CCLCM), and is a CCLCM Physician Advisor. Dr. Kriegler is an Associate Professor of Medicine (Neurology) at the CCLCM and Case Western Reserve University. She is board certified in Neurology and in Headache Medicine. Dr. Kriegler received her medical degree from The State University of New York at Buffalo in 1976 and did her Neurology residency at University Hospitals of Cleveland from 1977-1980. She did a fellowship in Neuroanatomy at Case Western Reserve University in 1981 before joining the faculty at CWRU and University Hospitals. Dr. Kriegler was the founder and Director of the University Pain Center at University Hospitals of Cleveland from 1981-1994. 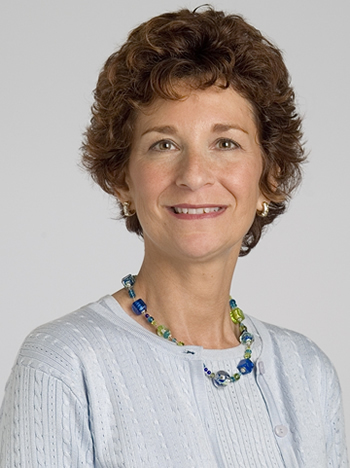 In 1994 she became the Director of the Mount Sinai Pain Management Center. In 1998, Dr. Kriegler returned to University Hospitals to again direct the Pain Center. After departing UH in 2002, she became the Director of the American Migraine Center (2002-2005) before coming to Cleveland Clinic in September, 2005. Dr. Kriegler has participated in many drug trials targeting the management of migraine. She was one of the original investigators of sumatriptan, the first triptan medication specifically targeted at managing migraine headache. Recently she participated in the Phase 2 and Phase 3 trials of the new CGRP monoclonal antibodies for the prophylactic treatment of migraine. She has published numerous articles and book chapters on migraine and chronic pain syndromes. She is a nationally known headache specialist and lecturer. She is actively participating in outcomes research. Dr. Kriegler has been recognized by her colleagues as one of the Best Doctors in America every year since 1998. She was named the 2008 Cleveland Clinic Neurological Institute's Educator of the Year.